Thomas Gambier Parry engaged James 1 to construct a Walled Garden, rock garden and artificial lake in the grounds of his home at Highnam Court, Gloucestershire, which is the oldest known Pulham garden still in existence today. Gardens contain artificial lake, Rock Garden, Owl Cave Grotto, and Walled Garden, well maintained and still in excellent condition. A full description of James Pulham’s work at Highnam Court – together with a number of pictures – can be found in Chapter 4 of Rock Landscapes: The Pulham Legacy – the definitive story of the lives and work of James Pulham and Son. Written by Claude Hitching, with featured photography by Jenny Lilly. Published by Garden Art Press. 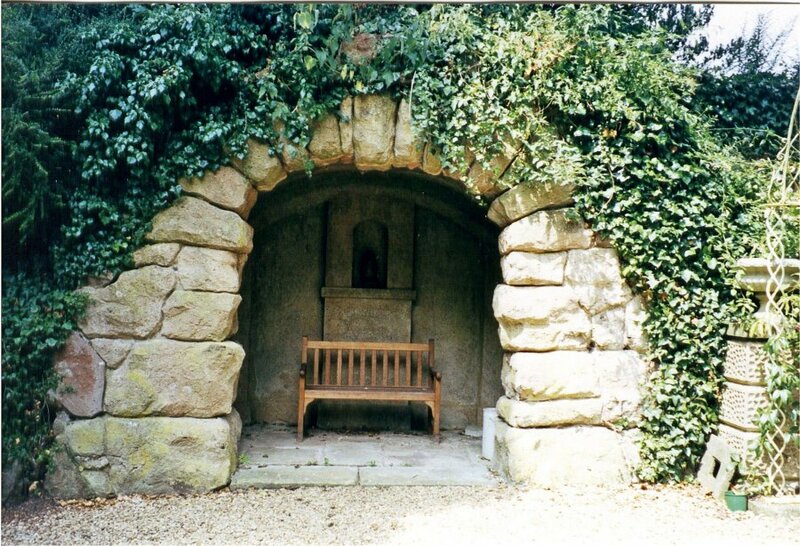 Posted on August 20, 2014 June 25, 2016 by Claude HitchingPosted in Book ContentsTagged Claude Hitching, Highnam Court - Gloucestershire, James 1 Pulham, Owl Cave Grotto - Highnam Court, rock archway, rock garden, Rock Landscapes: The Pulham Legacy, Thomas Gambier Parry, walled garden.